Although at home in a variety of musical styles, Cork trombonist, composer, and arranger Paul Dunlea concentrates primarily on jazz and improvisation. This has furthered his reputation as one of Ireland’s most in-demand trombonists. 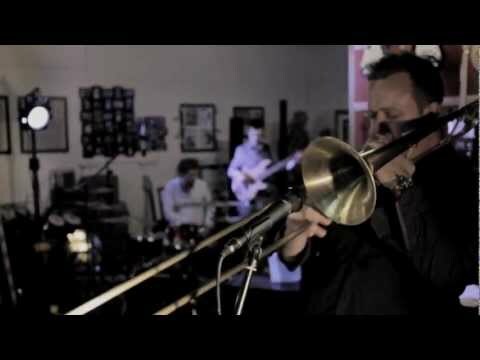 Dunlea has performed/toured/recorded with the likes of Cassandra Wilson, Frankie Valli, Mick Flannery, Richard Reed Parry (Arcade Fire), Bryce Dressner (The National), Lewis Nash, Peter Washington,Billy Drummond, Greg Gisbert,Tim Ries, David O’ Rourke’s O’ Rourkestra, The Dublin City Jazz Orchestra, Syd Lawrence Orchestra, Hot House Big Band,Cormac McCarthy’s Cottage Evolution, Brian Deady, Niall McCabe Band & The Hard Ground. Dunlea is a graduate of the CIT Cork School of music holding both a bachelor’s degree in trombone performance and a master’s degree in composition. He has held the chair of principal trombone with the Band 1 Brigade – Irish Defence Forces since 2001. In 2011, Dunlea released his debut album Bi-polAr to critical acclaim – reaching #1 in the iTunes chart. 2016 saw the release of his second album Fraternal, which was recorded at the renowned Bunker Studios, Brooklyn, NY and features bassist Peter Washington, drummer Billy Drummond, guitarist David O’ Rourke (co-leader), and Cork’s Cormac McCarthy. As well as writing for his own various groups and ensembles, Dunlea’s compositions and arrangements have been performed by The Dublin City Jazz Orchestra, Hothouse Big band, Crisis Point Big Band, Larry McKenna, Tony Miceli, Stan Sulzmann, Julien Seigel, Cathal Coughlan, Camille O’ Sullivan, Dana Masters, Gareth Dunlop, Niall McCabe, Laoise Leahy, Anna Mitchell, Jack O’Rourke,Brian Deady, The Frank & Walters, Band of An Garda Siochana, Defence Forces Bands-Ireland, Cork School of Music Symphony Orchestra, and the CSM Wind Ensemble. He has also written/arranged for countless theatre productions, groups and recording artists including Mick Flannery’s two number 1 albums – Red To Blue (2012 EMI records) and By The Rule (2014 EMI Records). Recently Dunlea performed alongside some of the biggest names in the New York Jazz scene commemorating the music of Frank Sinatra. The band, led by Irish born guitarist David O’ Rourke, played eight sell-out shows at the famous Jazz Standard Club.